The T-Mobile-Sprint merger has earned another stamp of approval. The New York Public Service Commission this week said that it approves of the merger of T-Mobile and Sprint, saying that the deal is in the public interest. “In evaluating the public interest relevant to this transaction, the Commission finds that, on balance, after evaluating the comments received and the risks associated with the proposed transaction the transaction will advance public interest and is approved, but only subject to the conditions discussed herein,” the Commission wrote in its filing. The agency notes that Sprint will be required to continue operating its relay call center in Syracuse and honor existing contracts until their expiration. In response to concerns that the merger could result in job losses, T-Mobile and Sprint have said that the number of new T-Mo employees in New York State will be at least equal to the total number of Sprint and T-Mobile employees as of the closing of the merger and will remain that way for two years. T-Mo employees will continue to receive the same benefits post-merger, and current Sprint employees will receive equivalent benefits. T-Mobile and Sprint have said that the expect the merger to close in the first half of 2019. It’s pretty much plain and simple #NothingBeatsTmobile they are the best carrier in the game period. Then why the need for a merger? After all, they added ~7 million new customers in 2018. The spectrum is useless if you can’t get the capital to deploy it. Sprint has had a wealth of spectrum going all the way back to pre-LTE days. As one of the first major incumbent players they have always had a strong portfolio of spectrum that they have kept investing in acquiring, to their credit. The problem has always been that years of poor management led to a debt laden company with little to no profit and thus no ability to adequately invest in building out service on that abundant spectrum. SoftBank has money, but they don’t just throw money in to lose it. They are in a catch-22. The prices they charge are the only things keeping them with subscribers but those low prices are costing them the ability to turn a profit and invest in capital intensive buildout. 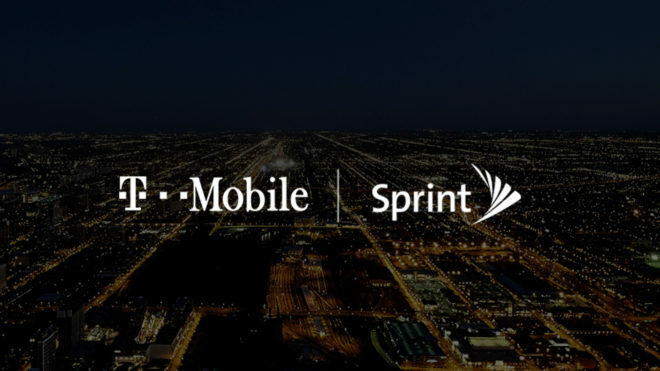 With 5G now on the horizon, and Sprint more or less admitting that they won’t be able to afford deploying 5G beyond the metro areas, the company is assured a slow piece meal death if not merged with T-Mobile. As far as T-Mobile, they MIGHT be able to do fine without Sprint. They are much more effectively managed and have added far more subscribers. But with still half as many subscribers as the big 2 and with much less spectrum holdings (particularly in mmWave) they would probably not become a serious threat for many years and with many challenges. Merging the two companies just makes the most sense. So many uninformed people. They both need the merger to be competitive. Sprint is largely staying in the game since they have great deals which are not sustainable, if tmobile gains a bunch more customers there network will really suffer since they don’t have the spectrum to sustain verizon level of customers. Also no company’s merge if they don’t both gain.